I didn't know what to expect before going on this tour as I have never been on a quad bike before. I was a bit scared going into it but the tour ended up being incredible. At the start of the tour we were briefed, got dressed into our safety gear and had a few practice runs with the quad bikes around sheep and a track they had. We were part of a large group and had 3 tour guides with us - James, Brett and Danny. They were patient, attentive, and very friendly. We knew we were in safe hands. 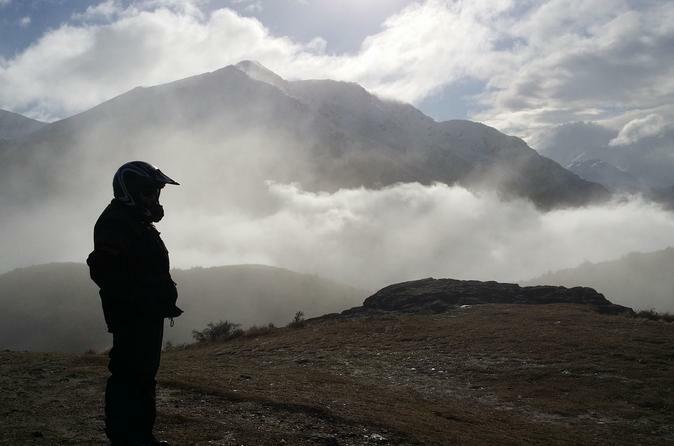 The tour took us up on Queenstown Hill, past some beautiful scenery and finally to the peak of the mountain where we had coffee, biscuits and cake and took in the spectacular view from the top. We came across different tracks/roads and we were able to get up to some good speeds which made the tour quite fun! I wouldn't hesitate to do this tour again. This ATV tour itself was very fun and I loved every moment! I would recommend to directly contact companies that have ATV tours though if you have any questions especially when travelling in a large group as the reps from Viator were not helpful. They were not allowed to provide details! 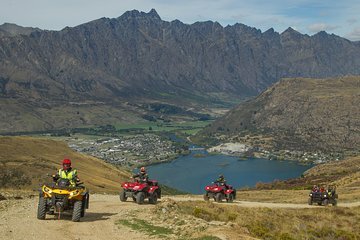 We had a fantastic time Quadbiking in Queenstown. The scenery was amazing as the tour guides were great. It gave us both a thrill riding in the mountains and up a small stream. Definitely worth doing. Make sure you wear woolen socks though as your feet will freeze in the wellies provided! Very enjoyable time in the beautiful location.